Naples, Fla. – The Naples Beach Hotel & Golf Club here in Southwest Florida has a new golf course to show off after a recently finished redesign by John Sanford, ASGCA, of Sanford Golf Design, in collaboration with Jack Nicklaus. 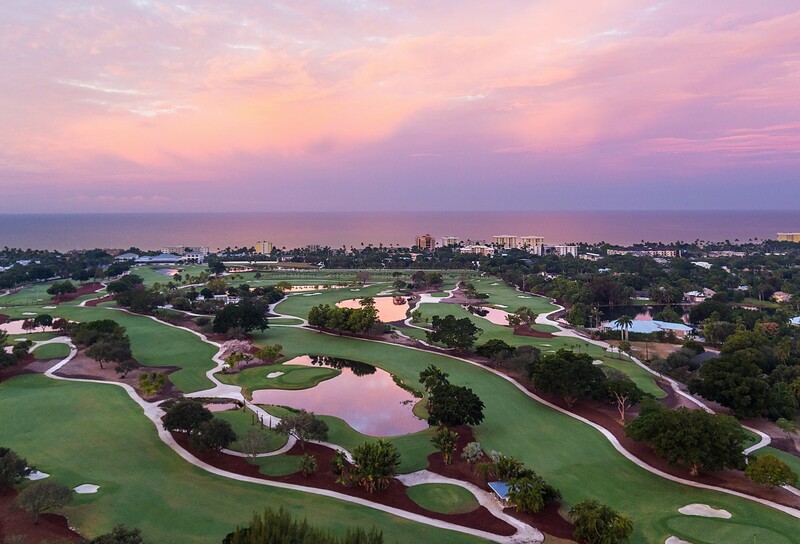 The redesign represents a total reinvention of the golf experience at The Naples Hotel & Golf Club, bringing it in line with the rest of the AAA Four-Diamond resort and enhancing the overall guest and group experience. The new par-71 golf course now takes advantage of its sandy soil to play fast and firm. These conditions will encourage greater shot-making, allowing running shots into new, gently-contoured greens with room for multiple hole locations. Five sets of tees see the course range from 4,800 yards to over 6,900 yards. The layout has been totally redesigned to improve playability for golfers of all levels and to emphasize the beachfront character of the resort. Water comes into play on numerous occasions, from the opening tee shot to the final approach to the 18th green. There are ten lakes on the course, forming hazards on all but four of the course’s holes. The new design also sees the introduction of two ‘double greens,’ one of which is shared by the exciting drivable par-four second hole and the par-three eighth hole, and the second shared by the par-five third hole and the par-four 15th. The project reopened a month ahead of schedule. Another highlight of the new course includes the ‘signature’ 16th hole, a par-three that plays to a ‘Redan’ style green. The original course at The Naples Beach Hotel & Golf Club opened in the late 1920s, with James Muirden, a golf course superintendent originally from Aberdeen, Scotland, credited with drawing up the original design. Jack Nicklaus and Sanford have collaborated on numerous projects, including Trump Golf Links at Ferry Point in the Bronx, New York. The Naples Beach Hotel & Golf Club project holds particularly fond memories for Nicklaus, as the original course is the location where, in 1951, he first broke 40 shots for nine holes, as an 11-year-old playing alongside his father during a family vacation.